If you want to find out more about the Club please email us or call Alex Finch, the Newsletter Editor on 02392 412361. Small Shepherds come in all shapes, sizes and ages and are a friendly bunch. The thing that unites us is that we want to keep our sheep healthy and happy. We keep sheep for all sorts of different reasons - for pleasure, wool, showing, meat, lawnmowers or pets. Our flocks are generally small. The smallest flocks have two or three sheep but our average flock size is around sixteen and our biggest is over a thousand. Between us we have over 5,000 sheep representing around 50 different breeds as well as a wide range of cross breeds. These range from the smallest British Breed, the primitive Soay to the Lincoln Longwool our largest native sheep. 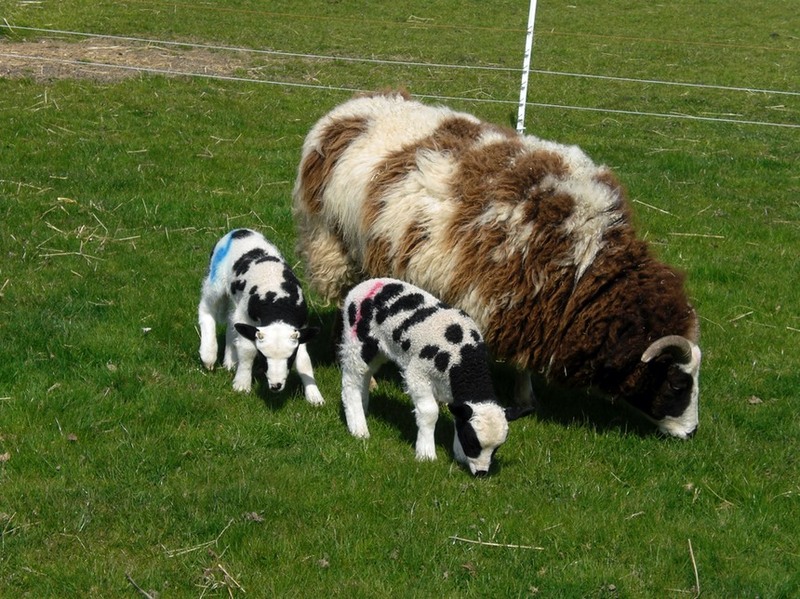 Many of the breeds on the Rare Breeds Survival Trust Watchlist are represented. Members also keep milk sheep and continental breeds. The most popular breed in the Club is the Jacob. You don’t have to have sheep at all. If you are thinking about keeping sheep, now’s the time to join and find out what’s involved in caring for a flock. During the summer of 1977 Simon Lloyd, a lecturer at Merrist Wood Agricultural College, came across a number of small flocks owned by people who were lacking the skills in caring for sheep whilst doing some contract shearing. For example more than one shepherd had treated fly struck sheep with Jeyes fluid. He teamed up with local farmer David Uffold to set up a club for small flock owners with the aim of teaching people with up to twenty sheep basic sheep husbandry. In the early days the Club set up series of practical meetings to demonstrate basic shepherding skills. They also bought medications in bulk to sell to individual members to encourage them to vaccinate and worm their sheep and arranged collective shearing sessions. Neither of these activites would be permitted now. By the autumn of 1977 the Club held its first show on David Uffold's farm at Forest Green; the annual Club Show and Sale is still held at the beginning of September. By the early 1980s both Simon and David were drawn to pastures new - Simon to Northumberland and David to Shropshire but not before a number of Club members had been trained as area organisers (later to become sheep advisers). The cascading of skills is still one of the strengths of the Club. We are delighted that both Simon and David and are still in touch with the Club.